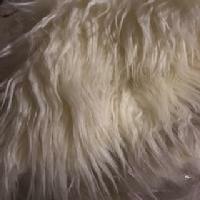 This is a soft, shiny and wavy fur in a beautiful ivory color. Since every monitor will show ivory differently we do suggest seeing a sample prior to placing your order. The pile length is approx. 2.5 inches and this fur would work well as a boot topper, glove trim, hat trim, pillow, costume, stuffed animal, etc. The pile is not sparse and not superdense so it will work well for many projects. You can probably even make a cute little wig out of it as the fur does have a tiny hint of blonde. NOW ALSO AVAILABLE IN WHITE. This fur is going to brighten up your day!!! 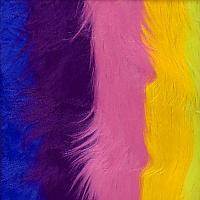 This is a shaggy fur that has bright color stripes running vertically and it is FANTASTIC!! The pile length is approx two inches and the fur is soft and has a lovely sheen. The colors are hot pink, bright lime green, cobalt blue, bright yellow, and purple. As usual you cannot get the impact that this fur makes from a picture but safe to say you will not be ignored. Since the fur is very shaggy it would work great for fun wigs, handbags, boot toppers, costumes, funky stuffed animals, masks, you get the idea! Note-all the colors are not pieced together-the fur was specially dyed this way so the backing does NOT have anything but the usual knit backing that our furs have-the pile runs lengthwise so the colors will run lengthwise and all the colors run the width of the fur. This is NOT your usual sherpa-this is a very thick, very nubby, sherpa in a nice maize(light creamy yellow) color. This is the sherpa that is used for dog beds, saddle blankets, coat linings, boot toppers, etc. It is difficult to measure the pile length because the fur is so thick but it is about one half inch. Even though this is a very thick fur- the backing is very pliable and sherpa is not a heavy fur by nature so sewing should not be an issue. 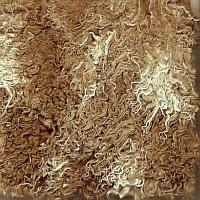 This fur is like the old style Flokati rugs which had a very tight curl but a very soft feel. When the curl is stretched out the pile length is approx. 1.5 inches. 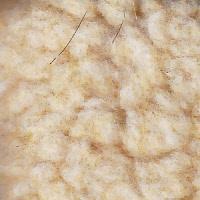 The colors in this fur are Tan and beige and there is a pattern to the fur which we hope you can see in the picture. This fur is screaming to be made into home furnishings, funky hats and scarves, and all sorts of fun outerwear! 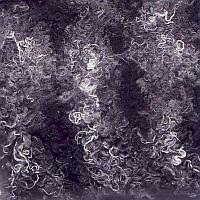 Same fur as above but in a black and grey color palette with a tiny bit of cream mixed in. Please do not ask us what breed of spotted cat this is, we have no idea! All we can say is that this is a very, very soft fur with an approx. pile length of one half inch. The base color is off white and the spots are a soft taupe color. The fur can be used anywhere. 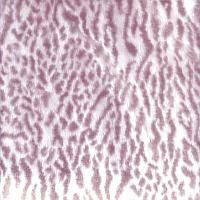 This is a very versatile fur as it can be used for all sorts of projects. The pile length is approx. 1.25 inches and the coloration is a dark brown base with camel color tips. This is NOT a soft fur nor is it a luxury fur so that makes it more of a craft type fur. 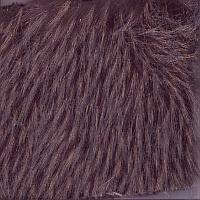 Many people have purchased this fur to use for lion manes, mascot costumes, boot toppers, wigs, stuffed animals, etc. NOTE: This is NOT the same longpile fur that we stocked before-it is the exact same color just a shorter pile. We also have this fur in charcoal grey which we will put on the website as soon as possible. This fur looks like a Racoon due to the colors and texture. There is a dark brown base that has a pile of approx. 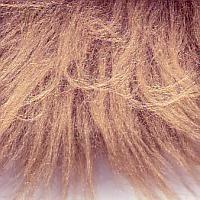 one inch, and then there are longer guardhairs that are a medium brown and they are approx. two inches in length. The fur is very soft and plush. While this fur would work great anywhere, it especially looks like fur that would be used for parka linings, hats, throws, etc.